Every Monday | 85 Degrees Offers Sea Salt Coffee For Just 85 Cents! (Any Size!) - EAT WITH HOP! Deal Alert for Coffee Lovers! 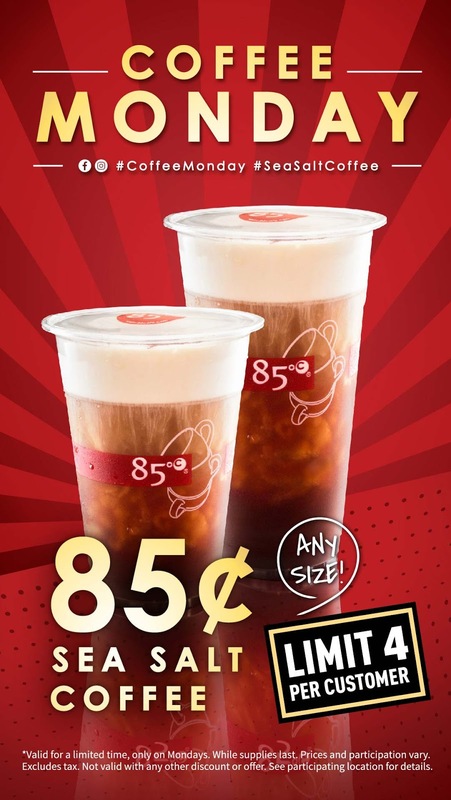 85 Degrees Bakery is offering SEA SALT COFFEE for just 85 cents every Monday! Every Monday, get Sea Salt Coffee of any size for 85 cents! any size??? might as well get large!! Right? ?